Presentation – Pacing fits the storyline and builds mood. Presentation is concise. Transitions are smooth and a logical sequence is presented. True to Book – Provides enough information about the book to persuade people to read it without giving away the plot. Originality – New ideas presented in a creative way. Attribution of all images and sounds. * Your book trailer must follow copyright laws. All work must contain original or copyright friendly images and/or music. * All images and music must be attributed at the end of your trailer. Ssubmit your trailer on a labelled USB to the KRC front desk. We'll add it to our book trailer page! * Tools such as PhotoStory3, PowerPoint, Windows MovieMaker, iMovie or any other multimedia tool can be used to create the trailer. 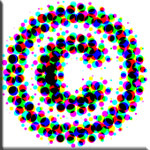 * To make sure you adhere to copyright laws do a search for “copyright friendly” or “royalty free” images, clipart and music.